You’ll have to move it around every day or two or they’ll wise up really fast. 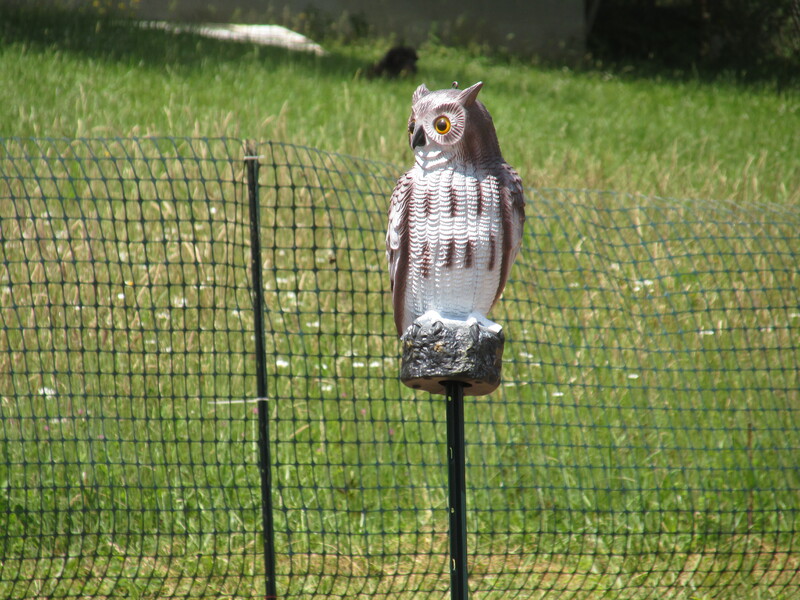 The old West Virginia way is to shoot one and hang its body up in the garden. Crows will not feed where they see a dead one of their species hanging. WV almost didn’t pass crow protections that are required by the Migratory Bird Treaty amendments. We now have a crow season (before that you could shoot them any time). However, the state has a huge loophole in its crow regulations. If you see one damaging crops, blow him away! The House Bolton method of bird management? BTW: That looks like a 4m or 5′ fence. It wouldn’t keep the deer around here out. We have to use a a minimum of 7′. 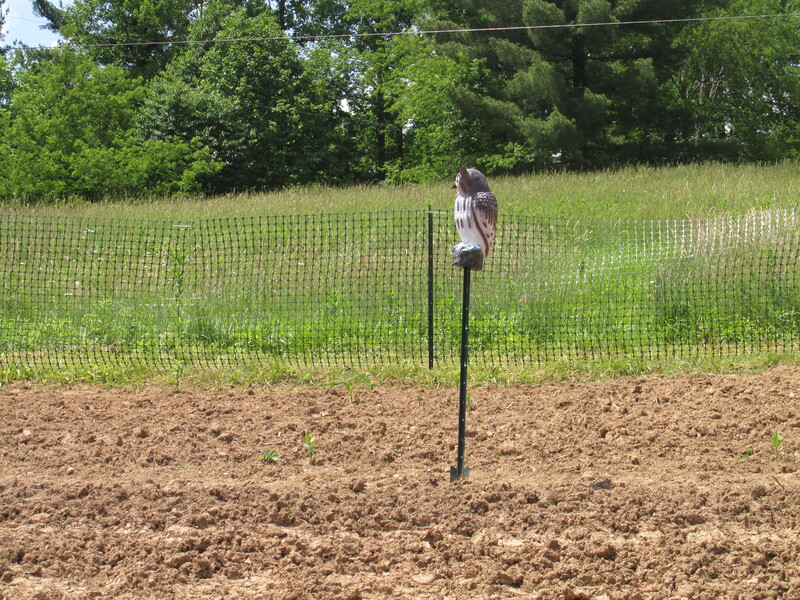 Another ploy is to lay chicken wire on the ground around the perimeter–they don’t like to walk on it. You’d be shocked, but that type of fence works wonders on deer. They simply will not try to jump it. I have photos. The post is in draft right now! Hmmm. I’ve used a similar fencing–but neon orange in color–to try to protect some evergreen saplings from deer–it didn’t work. These deer will literally eat anything. I can’t tell you how many “poisonous” and “deer resistant” plants I’ve lost to ’em. And they’re bold. I had a fawn jump away from me yesterday in an area that is no more than 15′ wide, between the house and the side garden fence. The best deterrent I’ve found so far–besides my 7′ “elephant cages”–is a mix of coyote urine and blood meal. It’s similar to that type, but the mesh has to be a certain size. If it’s too big or two little, it won’t work.